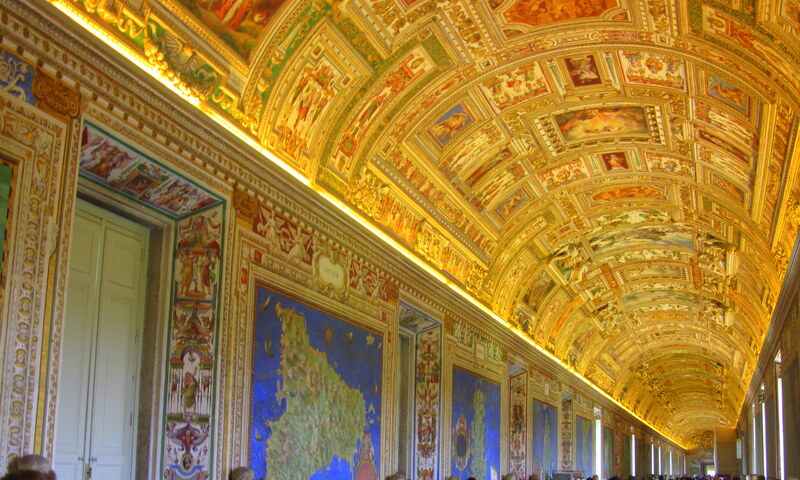 Ratified in 1929 as a sovereign State, the 108 acres of ground within the Vatican city walls house St. Peter’s Basilica (the largest Christian church in the world as well as an architectural achievement of the Renaissance and Baroque period). This modern-day home of the popes is the smallest independent nation state in the world in terms of area and population. 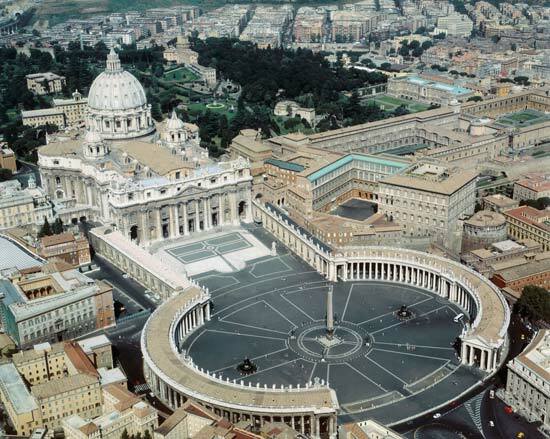 It is the territorial seat of the Holy See, the institutional entity represented by the Pope, and hence the principal ecclesiastical seat of the Catholic Church of both East and West. 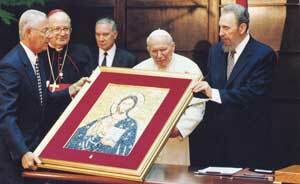 Since it is governed by the Bishop of Rome, the Pope, its government can be described as ecclesiastical and the highest state functionaries are in fact clerics. 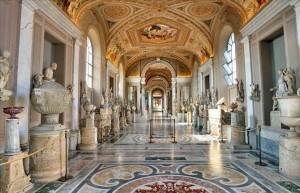 Join me and let us admire the awe-inspiring Vatican City and its Museums. Let us go into the magnificent Sistine Chapel while looking up at its famous ceiling painted by Michelangelo and take a stroll through its immaculately cured gardens. The Pio-Clementine Museum. 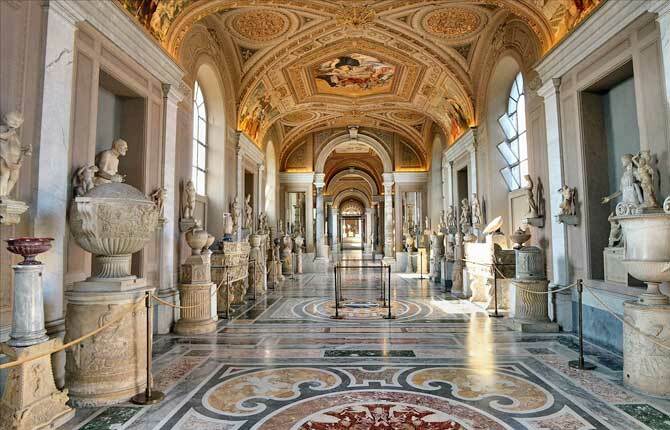 A museum full of the most important Greek and Roman masterpieces, collected under the ordinance of Popes Clement XIV (1769-1774) and Pius VI (1775-1799). The Gallery of the Candelabras built in 1761 and painted in 1883-1887. 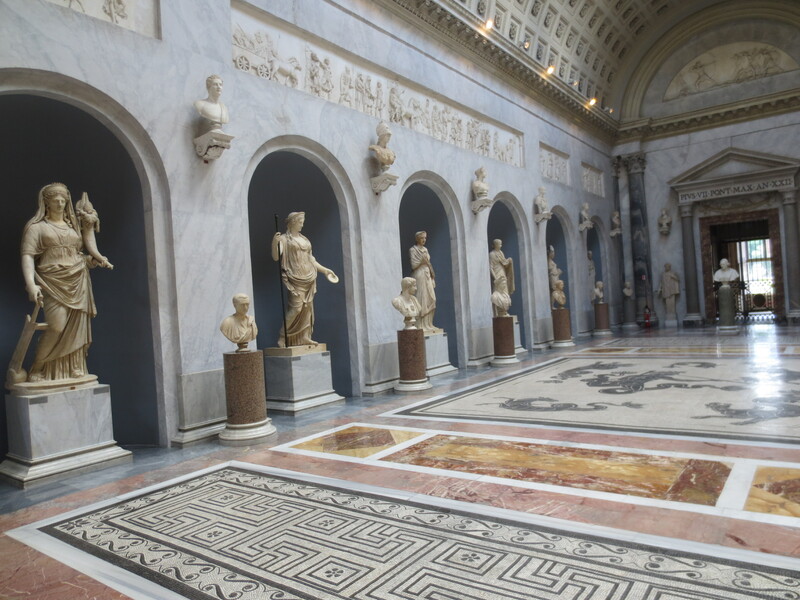 This gallery is rich in 2nd-3rd century BC art, containing Roman copies of Hellenistic originals as well as some great 2nd century candelabras. containing Flemish tapestries designed by Raphael’s pupils and realized in Brussels by Pieter van Aelst’s Workshop. 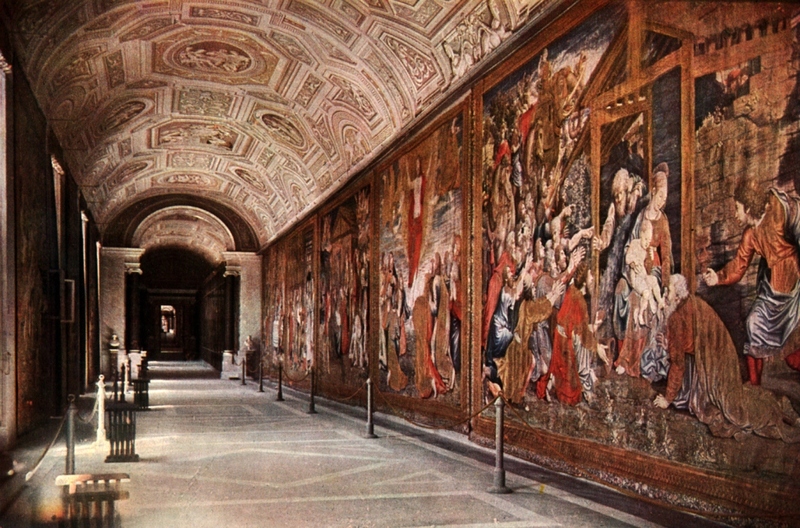 They were brought to the Sistine Chapel in 1531 and exhibited in this gallery in 1838. The Gallery of Geographical Maps, painted between 1580 and 1585. 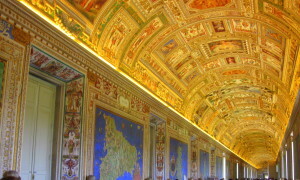 This gallery holds maps of all the Italian regions and the papal properties at the time of Pope Gregory XIII (1572-1585). 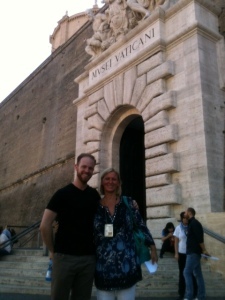 and of course, Saint Peter’s Basilica. Thanks to Peter, the first apostle, pope and leader of the Church, the most important basilica of the Christian world now stands in the Vatican City. 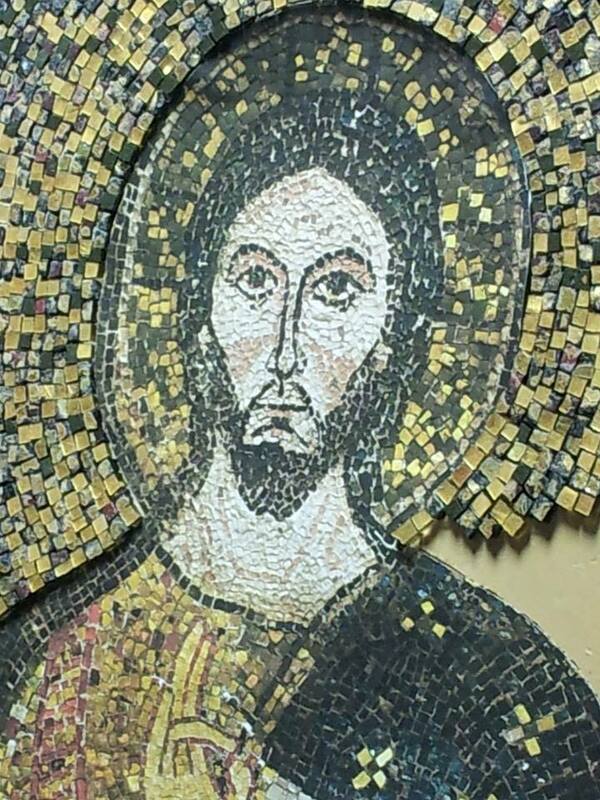 Peter was given his name by Jesus because he was destined to be the foundation “stone” (in Italian “Pietra”) on which the church would be built. Here you will enjoy a convenient skip-the-line access to avoid the typically long waiting hours. 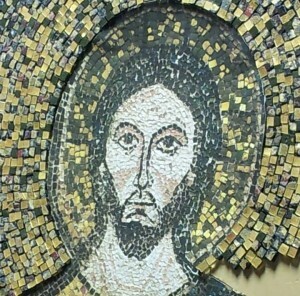 but today the studio has two main responsibilities: the conservation and restoration inside the Basilica (10.00 square meters of decoration) and the creation of mosaics which are then given by the Pope himself to other Heads of State (such as the president of the US) during special meetings or sold to the public. I’ll be with you all the way, providing you with Information on the cultural heritage and art of this once-in-a-lifetime itinerary. **I’d like to remind you that a visit to Saint Peter’s Basilica is made in accordance with the liturgical customs of the Holy Father or other events of the Holy and/or of the Vatican City State. 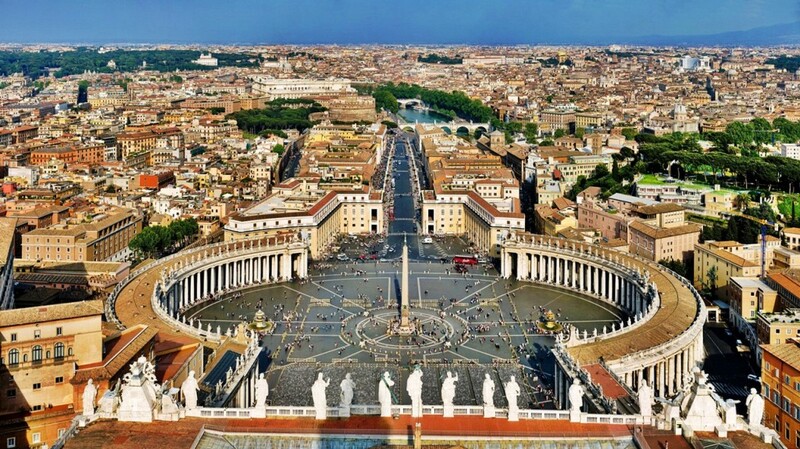 In short: Access to the Vatican City is permitted only to visitors dressed appropriately (no sleeveless blouses, miniskirts, shorts, or hats allowed). While visiting the insides of the Vatican Museums big umbrellas and backpacks are not allowed either. If you’re ready to book your tour or simply need more information then feel free to contact me or leave a comment below. 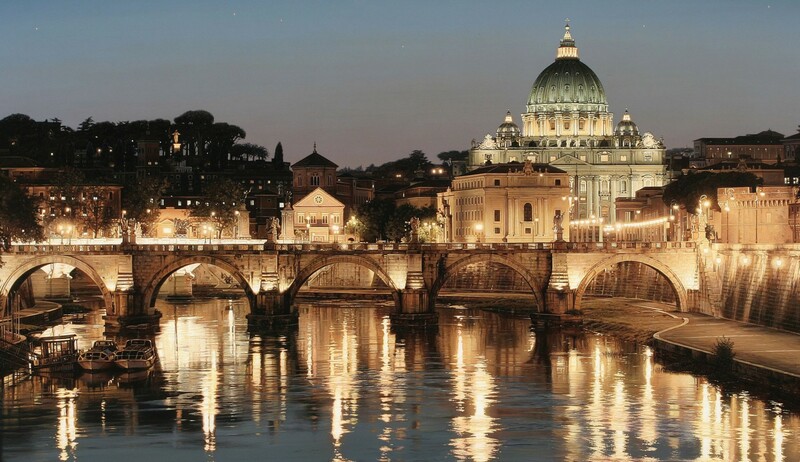 After visiting family, we will be in Rome staying at Hotel Columbus July 15-18th, 2016. 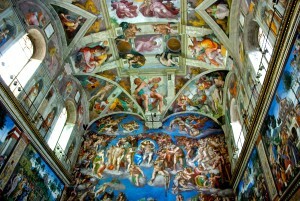 We would like to visit the Vatican Museums & Sistine Chapel on Saturday, July 16th. We have sunset dinner reservations at Les Etioles for our anniversary celebration that evening so would like to do the tour early after breakfast. We would like to do a handsome cab tour to Trevi Fountain, Spanish Steps, and Colosseum on Monday, July 18th. Thanks for any help or advise!